The Internal Revenue Service (“IRS”) issued a memorandum on November 20, 2018 to address the voluntary disclosure process after the closure of the Offshore Voluntary Disclosure Program (“OVDP”) on September 28, 2018. The voluntary disclosure process remains a practice of the IRS to provide taxpayers who may have criminal exposure, an avenue to come into compliance with the tax law and potentially avoid criminal prosecution. The memorandum covers voluntary disclosures received after the closing of OVDP on September 28, 2018 and specifically covers offshore disclosures submitted at that time. For voluntary disclosures, both domestic and international, that are submitted after September 28, 2018, they will be subject to new voluntary disclosure procedures. As well, taxpayers who submitted non-offshore voluntary disclosures prior to the September 28, 2018 deadline, they too may be subject to the new procedures at the discretion of the IRS. The IRS Criminal Investigation will screen all applicants to the voluntary disclosure program to determine if a taxpayer is eligible to make a voluntary disclosure. To be evaluated, taxpayers will be required to submit a preclearance request using an updated Form 14457, Offshore Voluntary Disclosure Letter to determine the taxpayer’s eligibility for the program. Once accepted, the taxpayer is required to submit all required information under the updated Form 14457 and will be subject to examination. 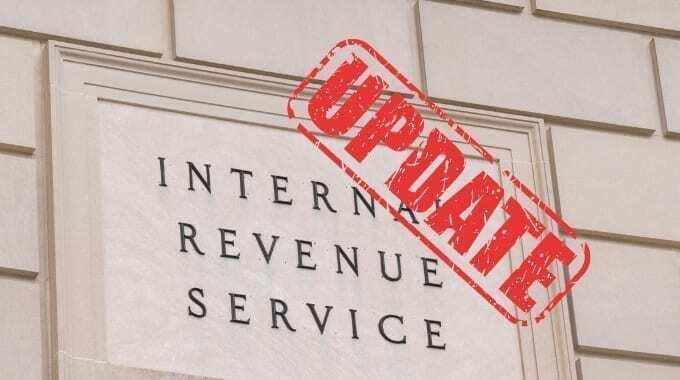 The IRS expects that voluntary disclosure cases will be resolved by agreement with the taxpayer for full payment of all taxes, interest, and penalties for the disclosure period. A taxpayer who fails to comply with the examination by the IRS, once they are accepted into the voluntary disclosure program, may have their preliminary acceptance revoked. The voluntary disclosure period will cover the most recent six years. If not resolved by agreement, the IRS reserves the right to expand the scope of a case to all years of noncompliance. The IRS may also expand the scope by agreement with the taxpayer. The taxpayer must submit all required returns and reports for the disclosure period. Civil penalty for fraud or fraudulent failure to file tax return will apply to one tax year with the highest tax liability and will be imposed at up to 75 percent of that liability. The IRS has discretion to extend this civil penalty to additional years if the taxpayer cannot come to agreement with the IRS. Willful FBAR penalties will be assessed as the greater of $100,000 or 50 percent of the amount in the account at the time of the violation. Taxpayers may submit requests for reduced penalties in the form of accuracy related penalties, as opposed to fraud penalties and non-willful penalties for FBAR. This could lead to a reduction in penalties to 20 percent, if the penalties are accuracy related rather than fraudulent. This requires convincing the IRS of an exceptional circumstance, supported by the law. Penalties for failure to file information returns will not be automatically imposed. Additional penalties for excise taxes, employment taxes and gift taxes will be assessed on a case by case basis by the IRS. This memorandum is good news for taxpayers who may be eligible for the program and tax professionals who have been anxiously awaiting the IRS’s next move after closing the previous OVDP.